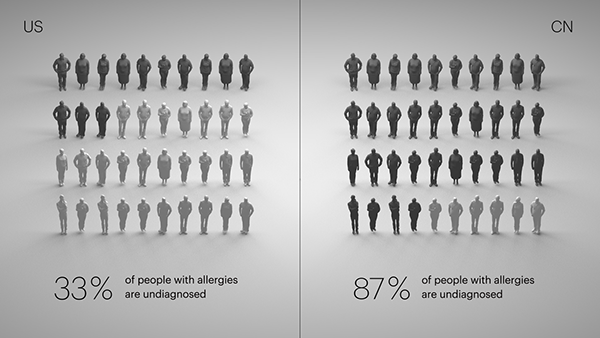 This project uses augmented reality and motion graphics to create awareness about the causes and effects of allergies. The project addresses diverse audiences, but especially those living in China, where the seriousness of allergies is not always recognized. The exhibition contains two parts. 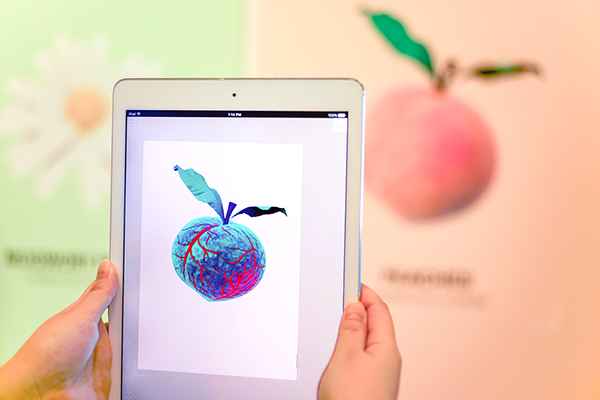 The central part is an augmented reality experience about the causes and effects of allergies. 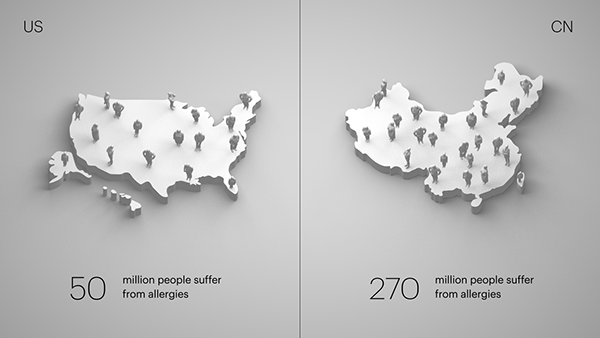 Another is a motion graphics about the allergy facts comparison between the United States and China. In the exhibition, there are five images of common allergens on the wall. People can use the AR app to scan the allergens and see the AR simulation of the allergic symptom. Through the AR interactions, people can experience how everyday items can be potentially dangerous, even lethal, for those with allergies. 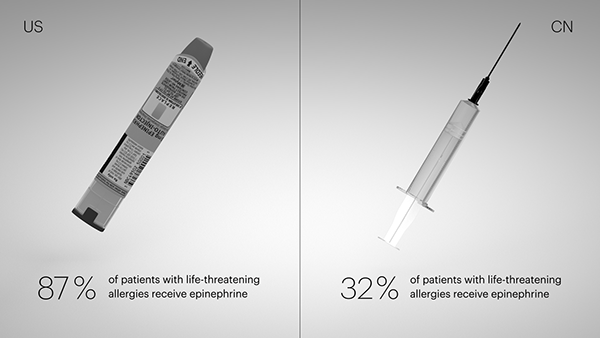 The point of my design is showing the contrast between harmless look allergens and dangerous allergic symptoms to emphasize the seriousness of allergies. Without AR, by using a calm and light color palette, I create a harmless and pretty appearance of allergens to attract people to explore them. 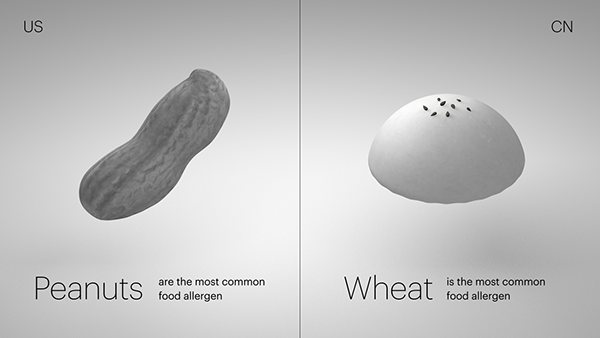 With AR, I’m using the contrasting color of the “harmless” color palette to create the dangerous look of allergens. By adding details like veins, hives, mist, etc. 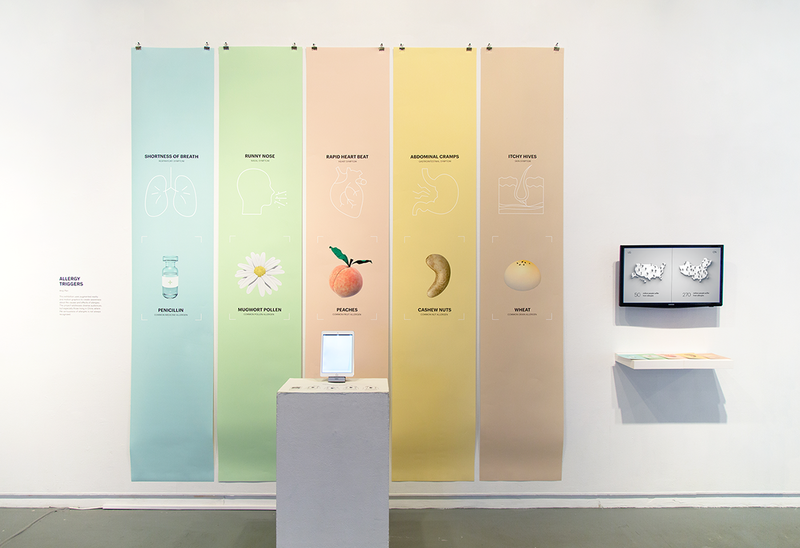 I let the allergens become the metaphor of human organs to simulate the allergic symptoms. The takeaway cards are designed to enhance sharing experience. The allergen images on the front of the cards are the same images showing in the exhibition. People can download the AR app on their own device to use it to experience the AR simulation at home and easily share it with their families and friends. 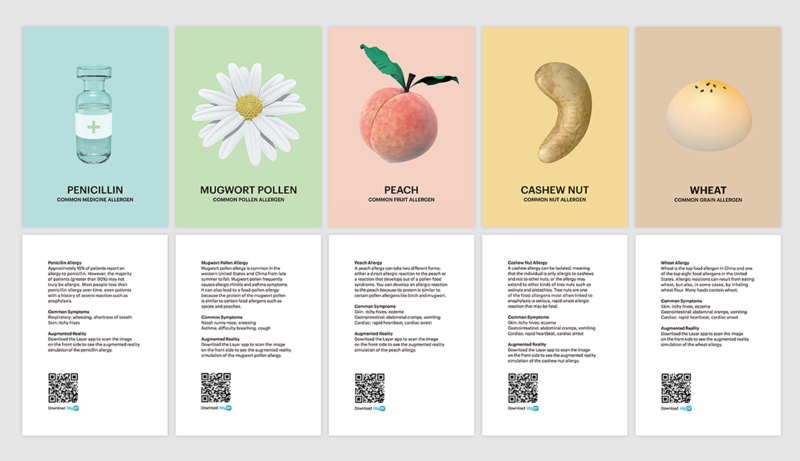 At the back of the cards, it shows more detailed information about the specific allergens. 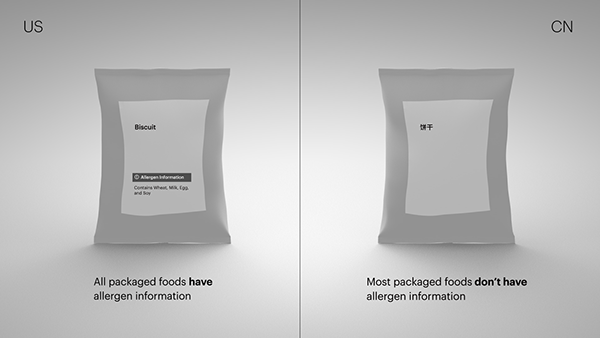 The Allergy Facts motions show the facts and data of allergens between the US and China, such as the population of people with allergies, the undiagnosed rate of allergies, the food allergen labeling conditions, etc. I hope by showing the facts people can become aware more about the current allergy condition in their countries.